With age, many people do a way to tighten facial skin to maintain appearance. Now, many treatments arise with the help of drugs or medical measures. Even so, it never hurts to still find out how to tighten facial skin naturally. The skin continues to develop as long as a person is alive, it's just that the skin's capacity to improve itself decreases with age. This is part of the aging process. Facial skin will look more slack, accompanied by the appearance of fine lines around the nose, mouth, and cheeks. Of course you don't want it, if your face looks older than it should be? The skin has an important role, namely to protect your body from foreign objects. Because the task is important, then you need to take the time to care for it, especially facial skin. No matter what your skin type, skin care routines must be done every day, in order to maintain overall skin health and correct problems around the skin, such as pimples, black spots, scars, and also facial skin that starts to loosen. Use a face mask. To tighten facial skin, you can wear a face mask with natural ingredients, such as egg whites and lemons, and milk and honey. If you choose to use eggs as a mask, don't forget to separate the egg white with egg yolks. Then, mix the egg white with a few drops of lemon juice. Apply to face until it dries and rinse with warm water until clean. If you have an egg allergy, it is advisable not to use this mask. There are also types of masks that can be used from fruits. Some types of fruit are very good for facial skin. For example, bananas. This yellow fruit can apparently be made into a face mask. How, puree the banana to taste, then mix it with yogurt, and also natural honey. Next, apply it to the entire face. Let stand for 10 minutes then rinse thoroughly. This banana mask is also useful for moisturizing and smoothing dry skin. Perform regular facial massage. Another way to tighten facial skin is to do facial massage regularly. Facial massage will increase blood circulation on the face, as well as the neck. Rotating or upward movements can help prevent wrinkles and fine lines from appearing. This action will be maximally useful if done regularly, especially at night before going to bed. You can also try an acupressure massage on the face to relieve tension and relax facial muscles. Although this method has not been scientifically proven to tighten the skin, facial massage will at least provide a sense of comfort. Sufficient nutritional needs. 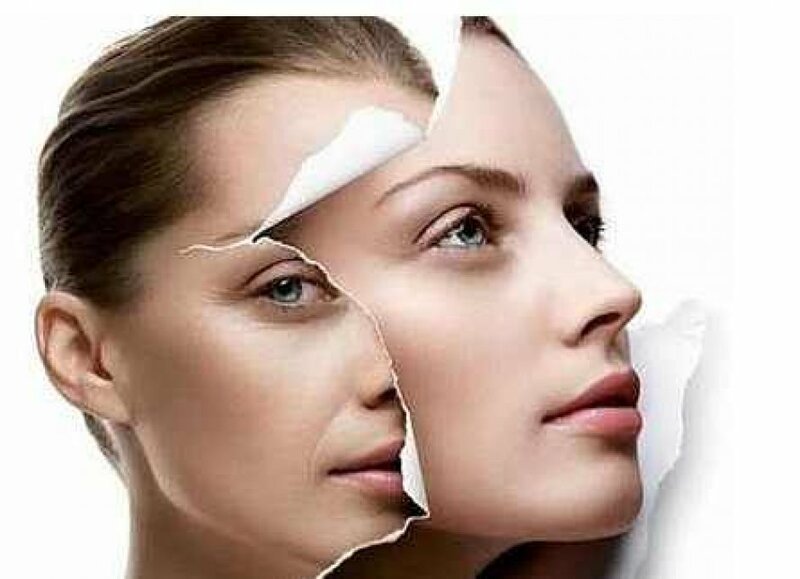 Not only influenced by factors from outside the body, how to tighten facial skin from inside the body such as eating foods with balanced nutrition also plays an important role in skin health. To maintain firmness and health of the skin of the face and the whole body, it is advisable to consume a high intake of antioxidants, such as vitamin D, E, beta carotene (vitamin A), polyphenols, flavonoids, proteins, and essential fatty acids, such as omega-3 and omega-6 . Good source of nutrition for skin health, namely fish, beans, green tea, turmeric, fruit, vegetables, milk, eggs and yogurt. Don't forget to drink enough water. No less important as a way to naturally tighten facial skin is to adopt a healthy diet followed by regular exercise. However, it should be noted also that each person is likely to get results that are not the same because of differences in tissue structure on the face, including bones and muscles. In addition, to get a tight face, avoid cigarettes as much as possible which can interfere with skin cell development and collagen production. Then, avoid also being exposed to excessive sun exposure, because the resulting UV radiation can reduce the oil and natural moisture of the facial skin. Use a sunscreen while in the open during the day and clean all makeup before going to bed. How to tighten facial skin naturally is easy to do. However, you are still advised to be careful about using natural ingredients, especially if you have allergies. Likewise, when applying certain diets or sports. If you need a facial skin tightening through medical procedures, consult with a dermatologist or plastic surgeon to get information on measures appropriate and safe for your condition.